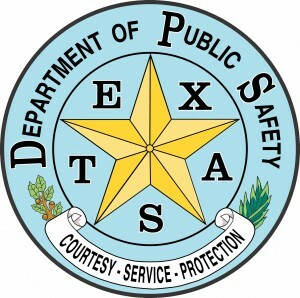 Texas Department of Motor Vehicles is a government created and operated web portal for public use. It is a means to access a number of services offered by the department through an online channel. The website is easy to use and provides all the services according to the requirements of drivers, dealers and motor carriers. See the above listings for Texas DMV offices. From registering the vehicle to getting special plates, all services for drivers and vehicles fall under the jurisdiction of Texas DMV. The department helps with the paper work regarding sale and purchase of vehicles as well as their insurance. You can also apply to add or remove lien on your vehicle or to apply for title. It assists in the sale and purchase of off-highway, imported and out-of-State vehicles as well. The website is very helpful for motor vehicle dealers. It not only keeps a check on the services and procedures, but also assists the dealers to learn new methods and be up to date with the modern strategies of dealerships. It emphasizes a lot on dealer’s licensing for which a detailed guide to the process of acquiring the license and updates on the new licensing system are shared on the website. To provide better opportunities to dealers, the department arranges training seminars and shares tips related to motor vehicle dealership. Texas DMV offers a number of facilities for Motor Vehicle Carriers as well. It is authorized to handle Commercial Fleet Registrations which include Apportioned Registration, Forestry Registration and Multi-Year Fleet Registrations. Apart from this, the department also issues permits and provides trainings and tutorials. The website, due to its simple and easy-to-understand layout, can be used by people of all ages and even those having little knowledge about the internet. You can make reservations for meetings and track down office locations when required to visit.